Fans of Peter Bacho and CEBU! 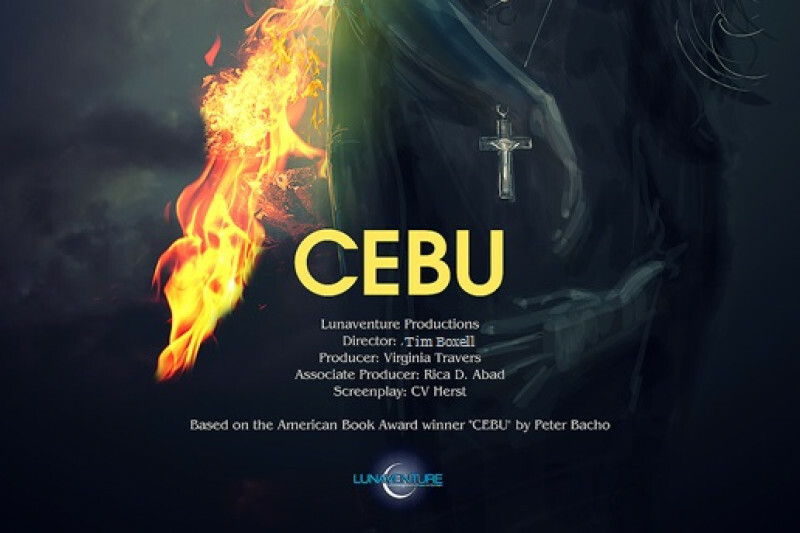 In order to keep the dream alive of turning ‘CEBU’- the novel into the ground-breaking ‘CEBU’ - the film, we need your support for much needed development funds . What will we do with your money? At this point we need to travel to Seattle and Manila to set up our locations and meet with our Producers in the Philippines. We also could use air miles. If you have them. audience. Never before has there ever been a film that tells the story of the people of the Philippines in the mid 20th Century. The time has come to showcase Filipino and Fil/Am talent in the mainstream. It's a family historical drama, a love story, and an action/adventure film, that just must be made. We're a small Independent company, like "The Little Train that Could" , so we appreciate all the help we can get. . If you ever dream about being involved in a film and say, “Hey I helped make that movie”! Here is your chance! Thanks for reading this, supporting , and sharing. A young guilt-ridden priest returns to Seattle from his mother's funeral in the Philippines he finds himself clashing with gangs, his own beliefs, forbidden desires and death. Sharing the website of our Team Member MiG Ayesa. MiG will be doing the Music for CEBU and is also a cast member. He hails from Sydney but his home is New York City. He's always on the road or on the sea. One thing for sure is that CEBU will have awesome Music. Friends in The Philippines, some of you have made donations, but GOFUNDME has not advised me of your donation. Please get in touch with me and let me know so I can contact GOFUNDME. For some reason the International funds are not being sent, So Sorry! Hi Folks, I've added a new challenge . I hate asking people for money but this is an important film. I’m asking my Facebook friends to donate $10.00 each. I have 347 Facebook friends. Once the film is finished I will do a lottery, and the first 5 winners will get an invite to a special screening. Close to where they live. Even if you can only spare $10.00 or 500 pesos it will help us along, build momentum, and gain attention to the project. We appreciate all of your donations. Many Thanks ! Salamat Po. Please share ! Hi Folks, We are up to $1,800 in donations now. Feeling very grateful and blessed. With your help we can make it to the $2,000 mark by the end of the week, Please pledge now! Please share!